This is far more than a display of boats. 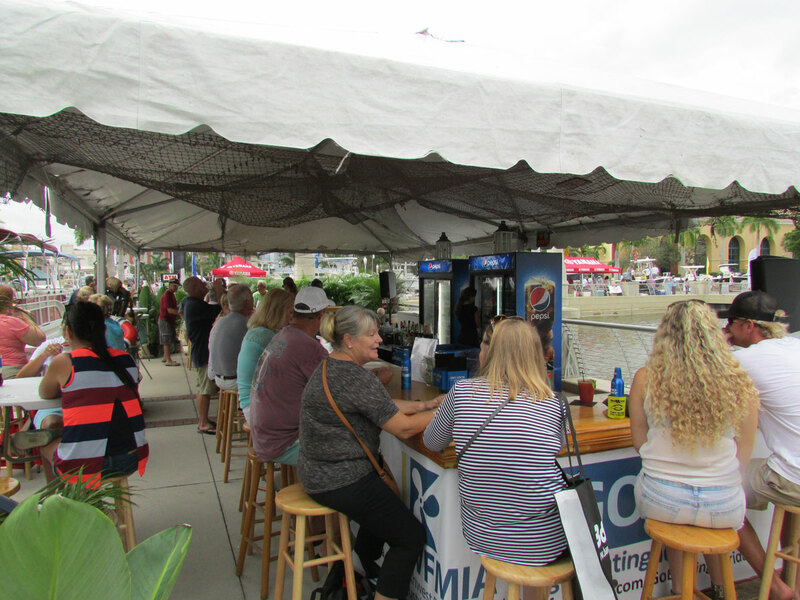 We have the largest display of accessory items of any boat show on Florida’s west coast, including displays of electronic equipment, motors, fishing equipment, accessories and other items from manufacturers all over the world. Plus, you’ll find a wide variety of service companies and educational information to help you get the most out of your time on the water. And, with nautical clothing and gifts, this is a great chance to kick start your holiday shopping. There are also plenty of snacks and sips available. Inside is the new Harborside Café with food and drinks, relaxed seating and TVs to catch weekend sports. In Centennial Park is the popular Everglades Barbecue tent. The Yacht Basin Concessions overlook the beautiful new basin and features a variety of both seafood and traditional items. And right next door, the Yacht Basin Pub is a real crowd pleaser with cold beer, wine and cocktails. Of course, there are many restaurants within an easy walk of the show. If you have not been in downtown Ft. Myers lately, you’ll be surprised at how the area has come alive.